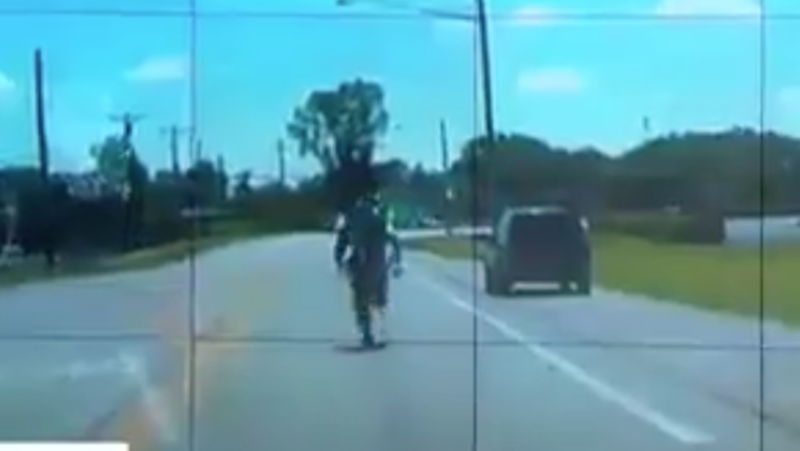 Ohio deputy chases his cruiser on foot as it rolls away at a traffic stop | Circa News - Learn. Think. Do. A regular traffic stop turned into a hot pursuit when an Ohio deputy chased down his own vehicle after it started to roll backwards. The whole incident was caught on a dashcam video. The deputy was talking to a man he had pulled over when he realized that hisown car was moving without him. The video showed the officer running toward the vehicle, climbing in and stepping on the brake. CBS News tweeted the video. Sheriff Dave Duchak says his deputy apparently left the cruiser in gear. The deputy's name was not released, and the sheriff told a local TV station that the incident would be handled internally. Some wish they could have been there to see it.